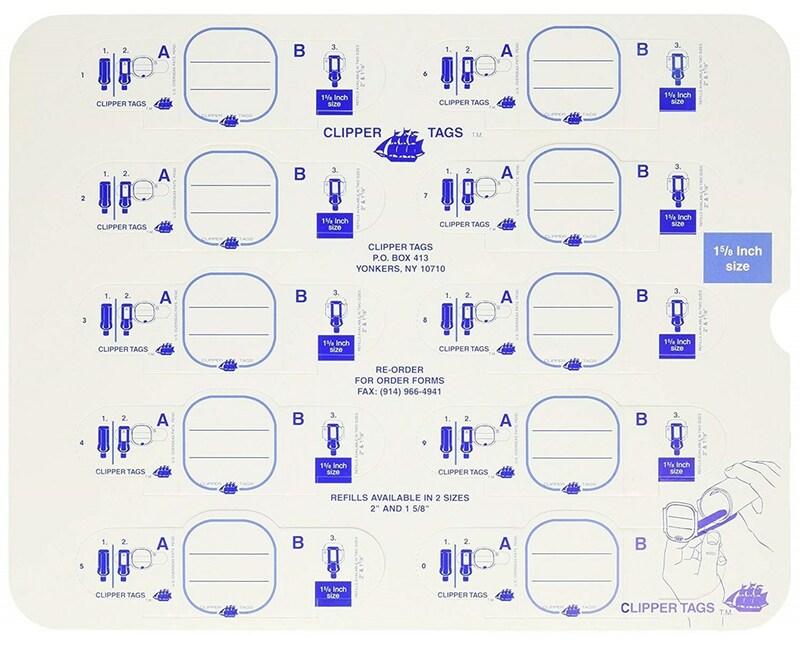 The Clipper Tags Labeling System (Qty. 50) is an economical, convenient, and effective way of organizing rolled files such as blueprints, building plans, maps, drawings, and more. 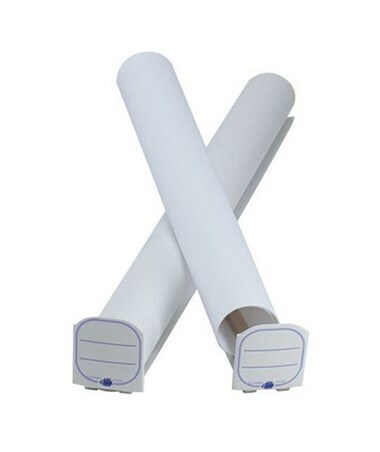 It features two essential components that work together to provide easy and quick identification of any rolled items. The white cardboard ID tag allows labeling while the 3 ½-inch spring-steel clip keeps it firmly secure at the end of the rolled material. 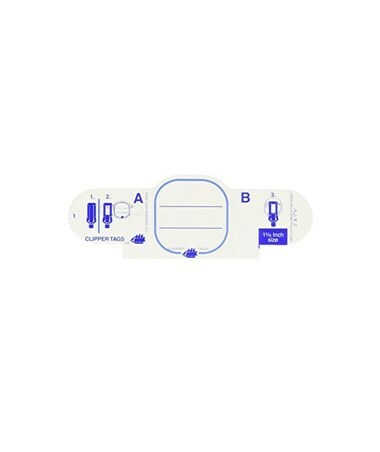 The Clipper Tags Labeling System (Qty. 50) is sustainable with reusable metal clips and replaceable cardboard tags. 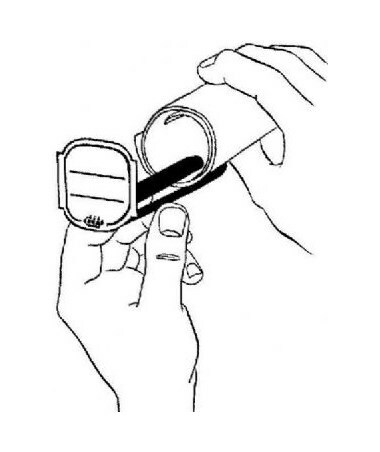 With tag refills available separately, it can be used for a long period of time. This package includes 50 tags and 50 clips. 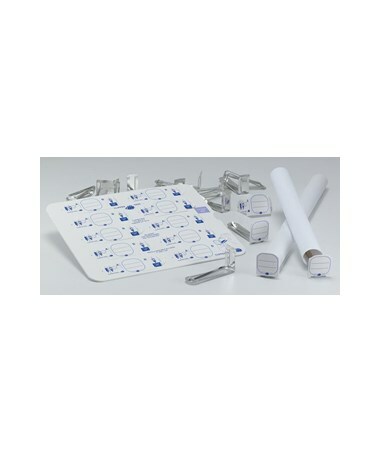 It offers two cardboard tag sizes—1-5/8 inches and two inches—to accommodate different labeling needs. The Clipper Tags Labeling System (Qty. 50) comes in two different tag sizes. Please select your preference from the radio button menu above. 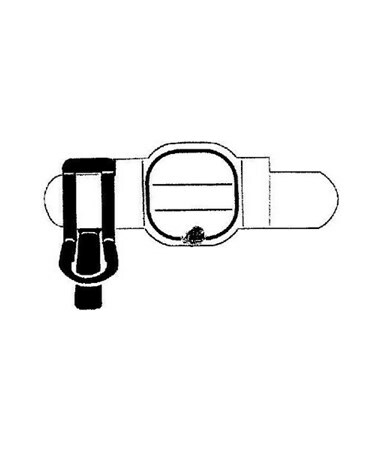 Tag Size: 1-5/8" or 2"